Please help us Remember, Honor, and Teach by sponsoring a wreath, volunteering, or spreading awareness of the sacrifice of our servicemen and women. This quote from Wreaths Across America encompasses my feelings of patriotism. Wreaths Across America is an organization that lays wreaths on Veterans’ graves at Arlington National Cemetery and various locations throughout the United States and abroad. 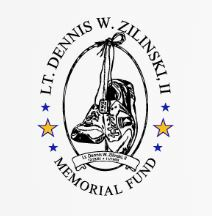 For my service project, I have decided to work with Wreaths Across America to fulfill the mission of the Zilinski Foundation. Lt. Dennis Zilinski was killed in action in Bayji, Iraq on November 19, 2005. He believed that ultimately the fighting in Iraq was protecting his fellow citizens in this great nation of ours. The Zilinski Foundation’s mission is to aid and assist wounded warriors and also sponsor service dog for Veterans suffering PTSD. I am encouraging the community to participate in sponsoring wreaths. Wreaths Across America will return $5.00 of every $15.00 wreath donation to support the Zilinski Foundation. Dennis is buried at United States Military Academy West Point Cemetery, which is where I have chosen our wreaths to be laid. This project will honor Dennis and all others who have sacrificed their lives for our freedom. My goal for 2019 is to collect 1,000 wreath donations, equivalent to $5,000.00 for the Zilinski Foundation. Please share this link www.wreathsacrossamerica.org/nj0137p with friends and family help to Remember and Honor as many fallen heroes as possible. Thank you so much for supporting the Wreaths for the Dennis Zilinski Foundation (NJ0137P) and Wreaths Across America! We are happy that you are willing to help with our Wreath Across America ceremony at United States Military Academy West Point Cemetery. Please do not forget to register to volunteer! That way you will get all updates about the cemetery itself.